If a backup file you are exploring was created without application-aware image processing, the heuristic analysis must be performed to mount required restore points and find existing Oracle databases in these points. The heuristic analysis requires a staging Oracle server to be configured up front. For more information, see Configuring Staging Oracle Server. 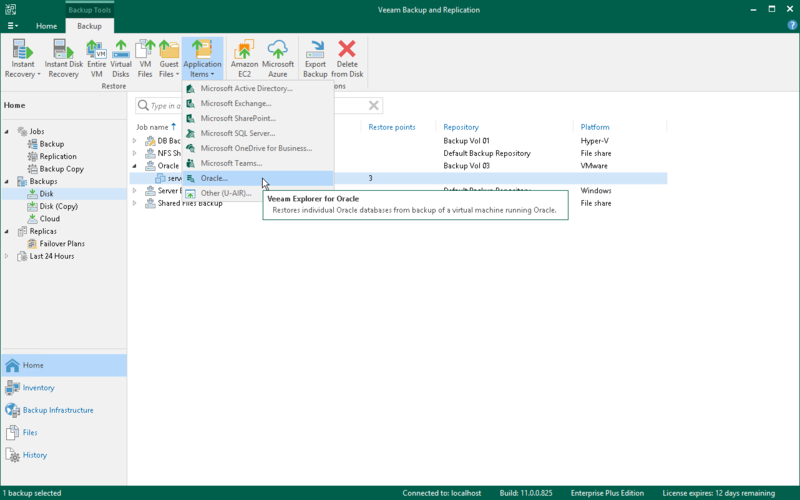 Open the Veeam Backup & Replication console, go to the Home tab, select Application Item > Oracle (or Windows) and go through the Restore wizard steps. Select a restore point to explore and finalize subsequent steps of the wizard. Proceed to Specify Target Server.